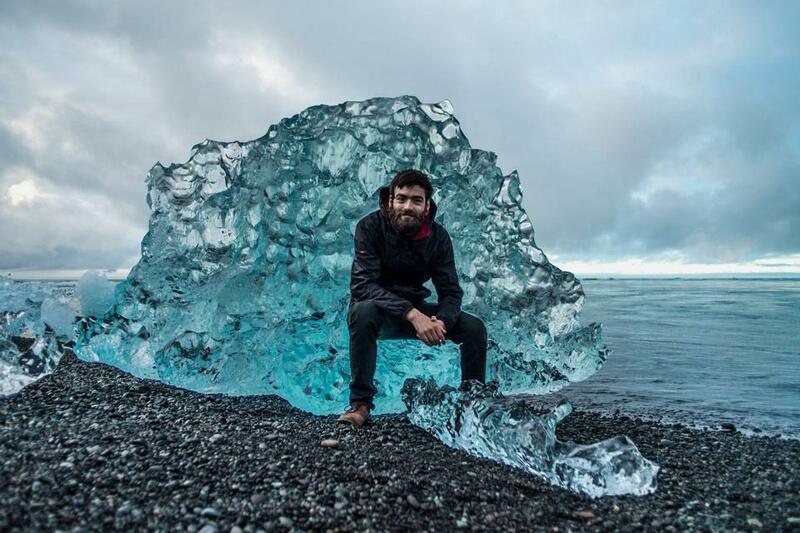 Iceland travel blog — The fullest Iceland travel guide blog for a trip to Iceland on a budget for the first-timers - Living + Nomads – Travel tips, Guides, News & Information! 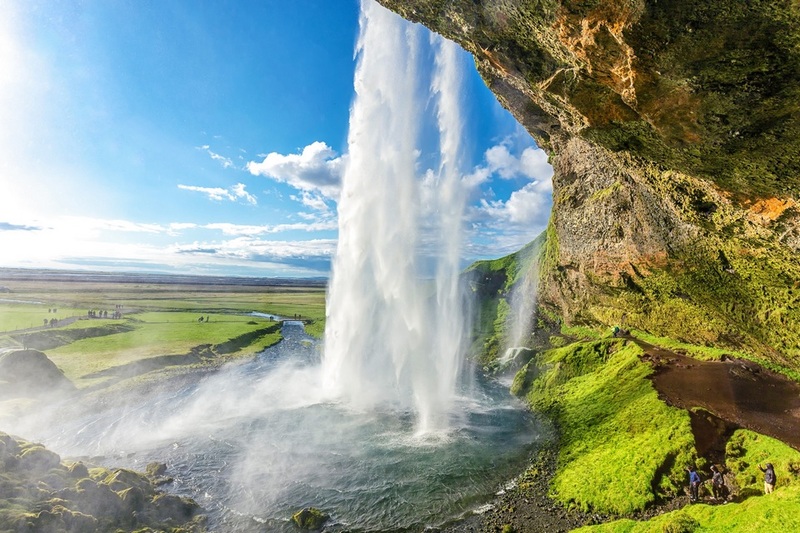 Iceland is a beautiful island nation located between the Greenland sea and the North Atlantic Ocean, the Northwest of the UK. 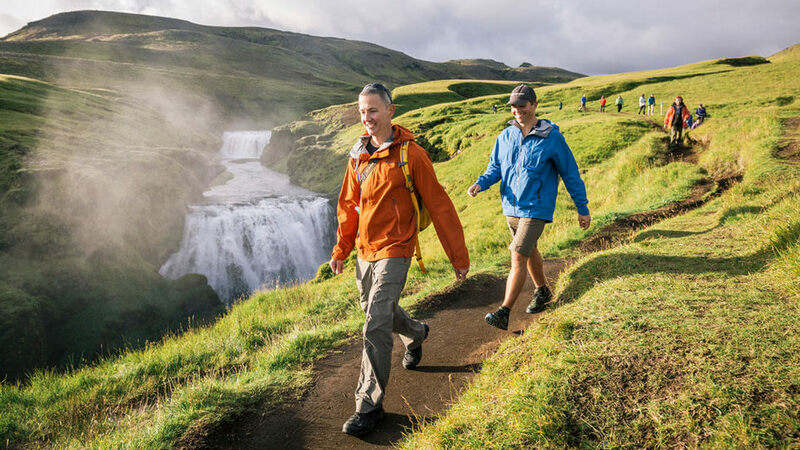 Iceland attracts millions of tourists each year by the extremely majestic, surreal and beautiful natural scenery from the vast serenity grasslands in the countryside, the high mountains, the great glaciers or the spectacular waterfalls … The central of the island is the cold plateau. 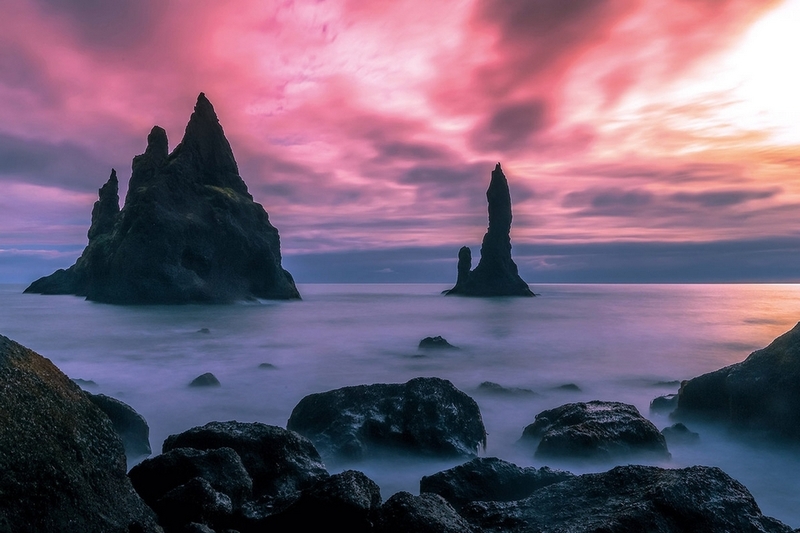 More than three hundred thousand of Iceland’s inhabitants live mainly on the coast, of which nearly half live in Reykjavík. The capital over a thousand years old with a name that means Smoky Bay that has a little dreamy, a little ancient and most houses have a simple, small, beautiful architectural style. 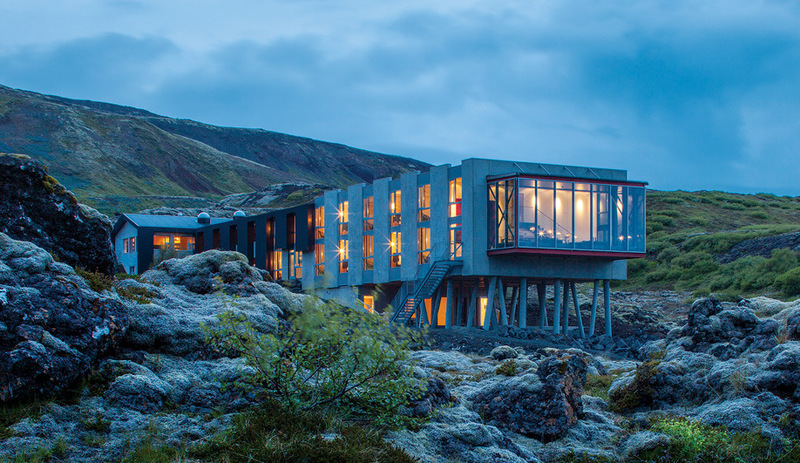 Icelanders do not need massive buildings because of the wonderful nature, which is enough to overwhelm people, is one of the most attractive destinations in Europe. 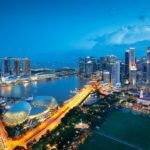 So, if you are planning to explore this land then you cannot ignore this article. 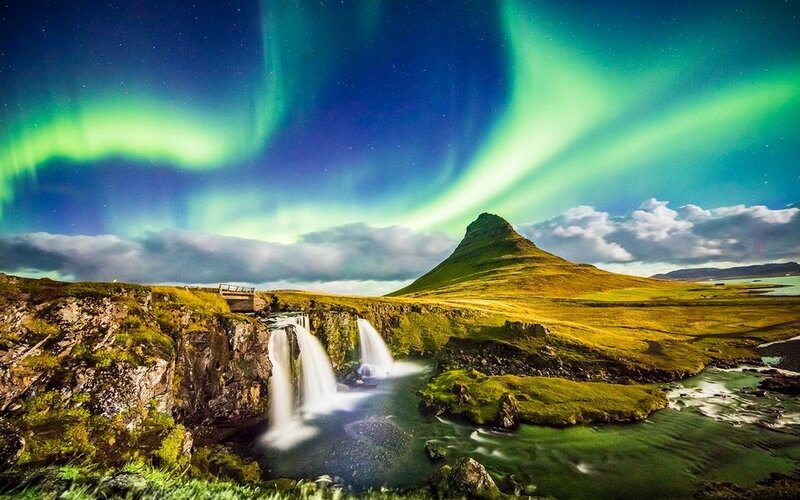 And if you are looking for a trip to Iceland on a budget? Let’s check it out our Iceland travel blog (Iceland blog) with the fullest Iceland travel guide blog for a budget trip to Iceland for the first time from best time to visit, how to get to Iceland, where to stay to best places to visit, top things to do in Iceland, suggested Iceland itinerary for 4 days and 17 days, etc with Living Nomads below. Surreal landscape. 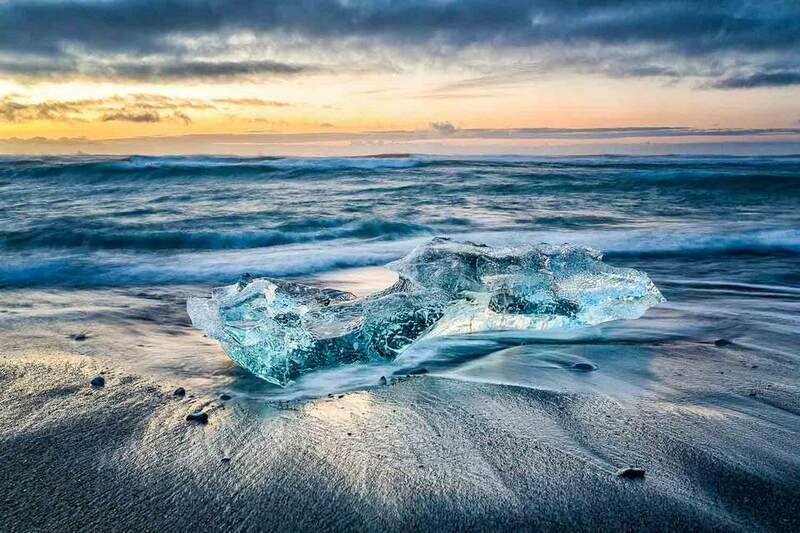 Credit: iceland travel blog. People are small when standing in front of majestic nature. 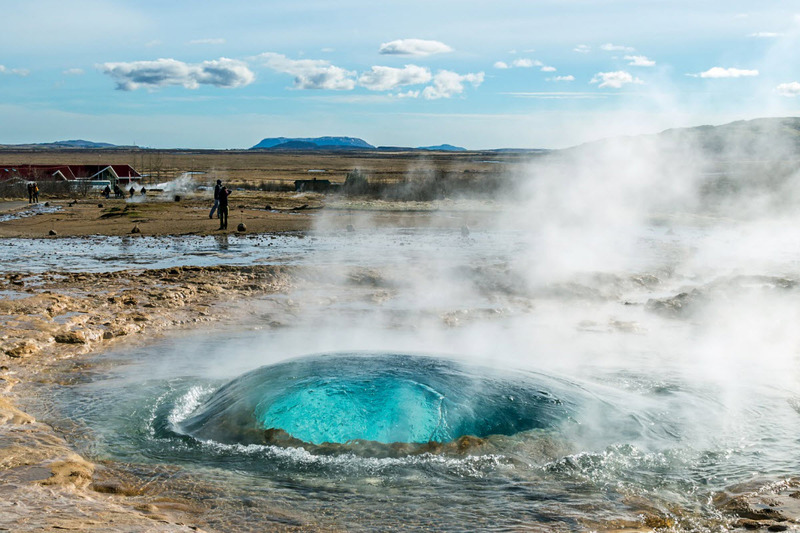 Iceland: The land of ice and fire. 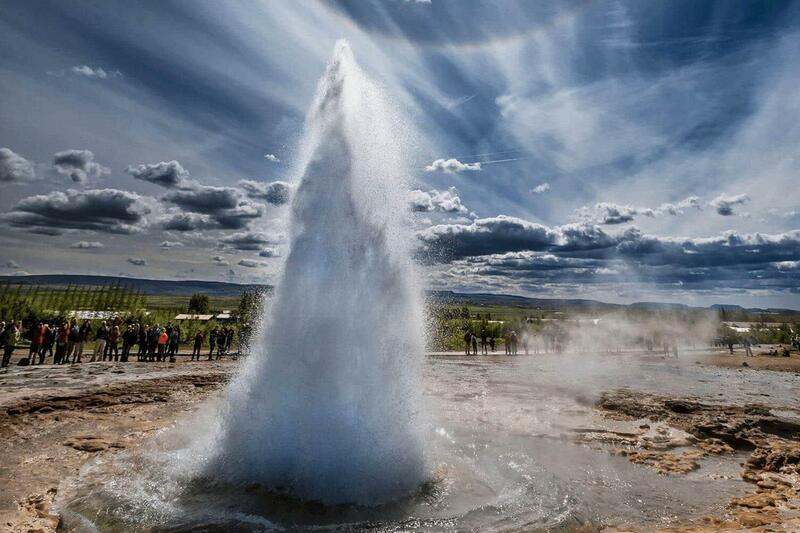 Credit: iceland travel blog. 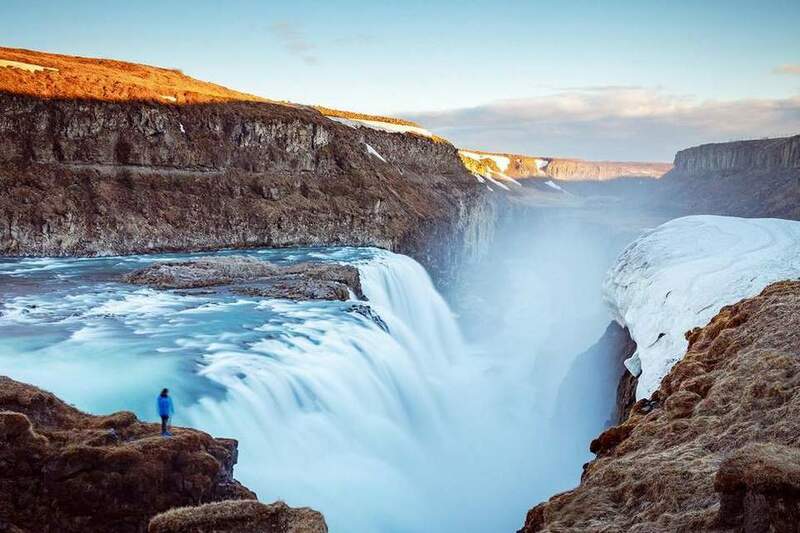 Iceland travel guide: When is the best time to visit Iceland? 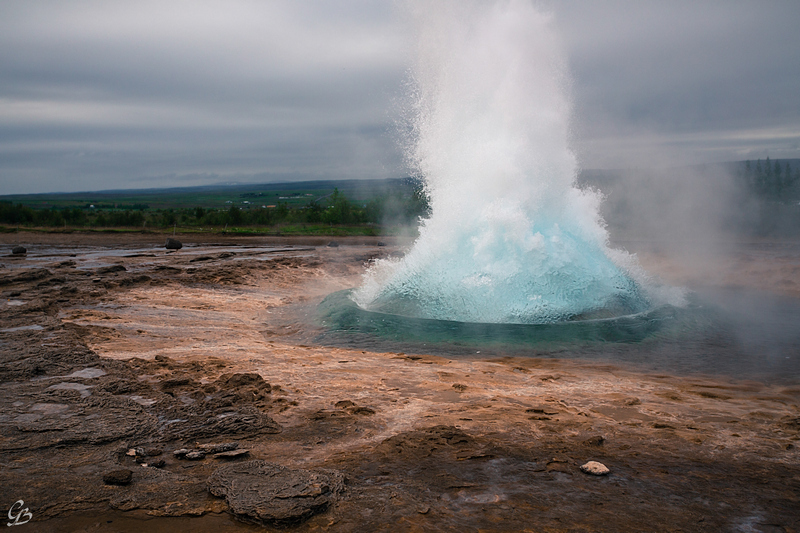 The power of water and fire in Geysir, one of the most famous hots springs in the world. Iceland has two main seasons: cold and very cold. In summer, the temperature will fluctuate in the range of 7-16 degrees Celsius. The hottest days in the hottest month in Iceland are only reach 25 degrees Celsius. 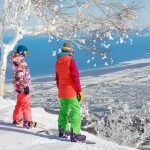 The winter temperature can drop to -10 degrees Celsius, so no matter what season you go, don’t forget the warm clothes. 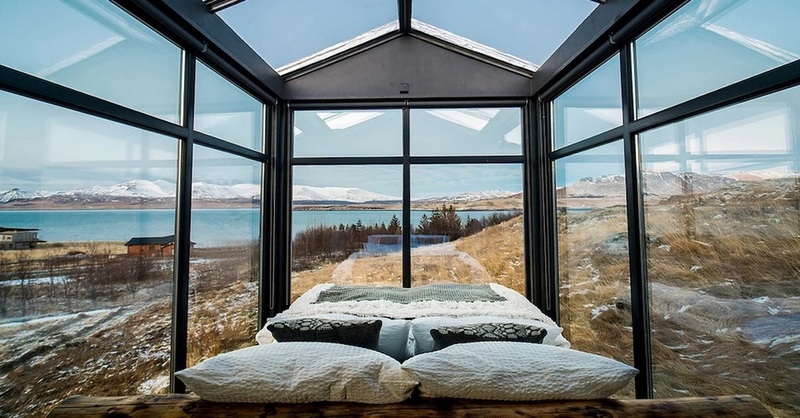 So, when is the best time to visit Iceland? The answer to this question depends on what you want to see here. 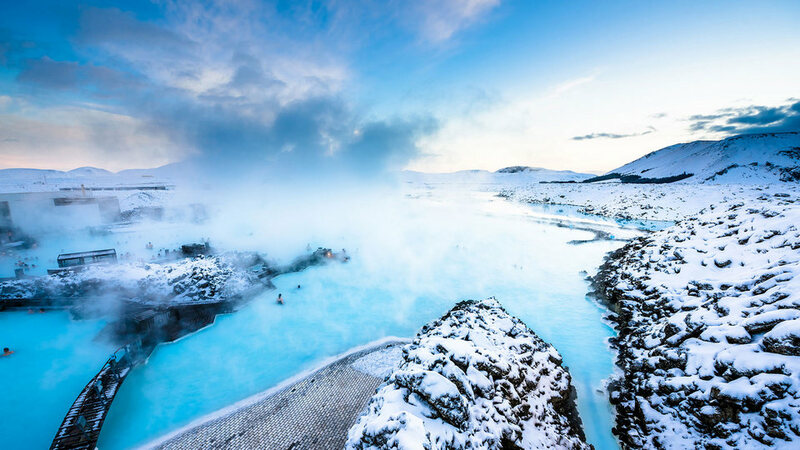 Active volcanoes and cold winter turn Iceland into a paradise for those who love adventure to explore in both winter and summer. 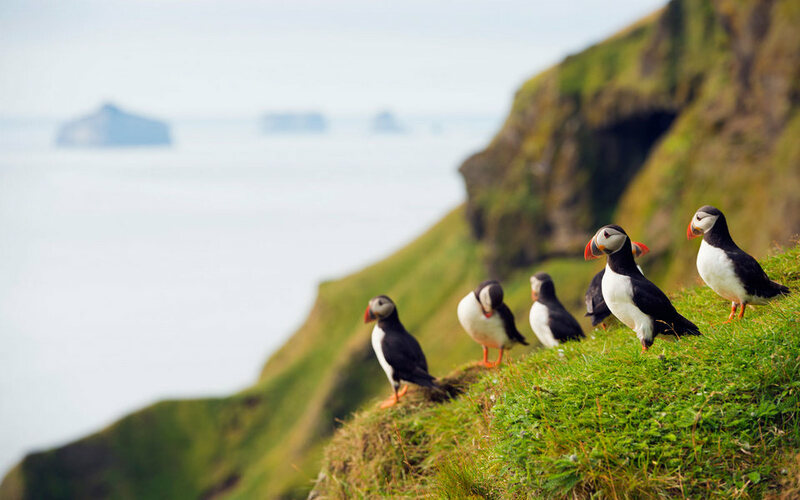 If you go to Iceland for the purpose of climbing, watching whales, puffins, exploring strange beautiful volcanoes, some places like paradise, some places like hell, in the center of the island, you must come in the summer, from June to September. F routes (lanes dedicated for 4×4 cars) are only open at this time. We think June and September are the best time, when the number of tourists is not too crowded and it is not very cold, it is still possible to camp to reduce costs. At the end of September, if you’re lucky, you can see the aurora (northern lights) too. Weather in any season in Iceland is also very unpredictable. Sunny, suddenly rain, and fierce wind. 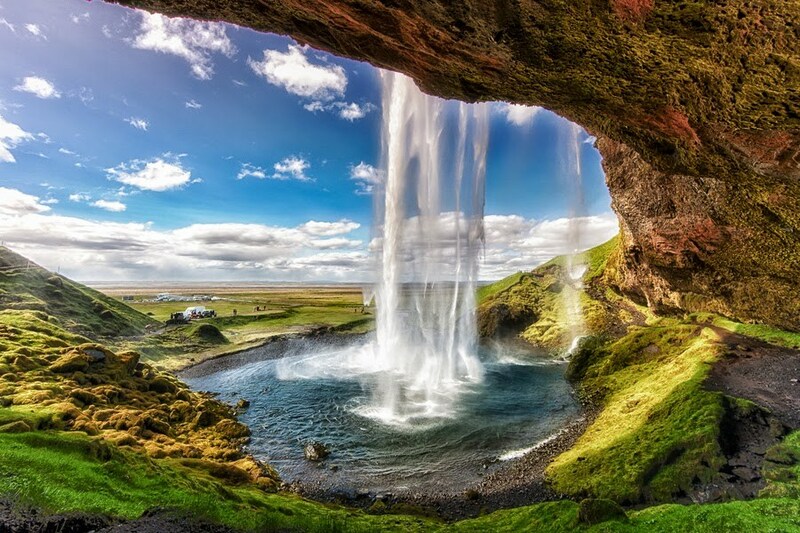 Image by: iceland on a budget blog. There are deserted places like the East Coast or the Northwest, no one is seen all day. 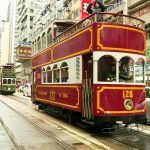 July and August are considered to have the best weather of the year, but there are disadvantages of overcrowding of tourists, which partly reduces the charm of this land. Of course the concept of “beautiful weather” is also very relative. We went 17 days in July, only have 3 sunny days and temperature also only 5 to 15 degrees Celsius during the day. 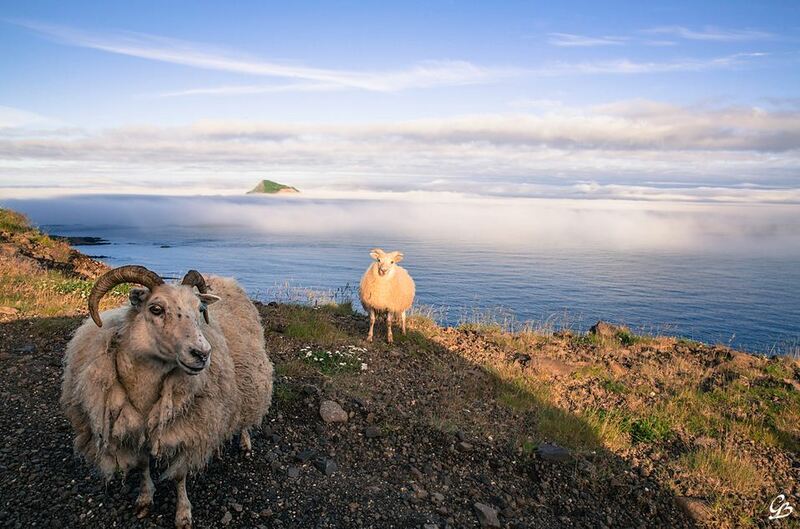 Iceland sheep live freely, throwing around the island, breathing in the air, catching the sea breeze, so the lamb is also delicious. 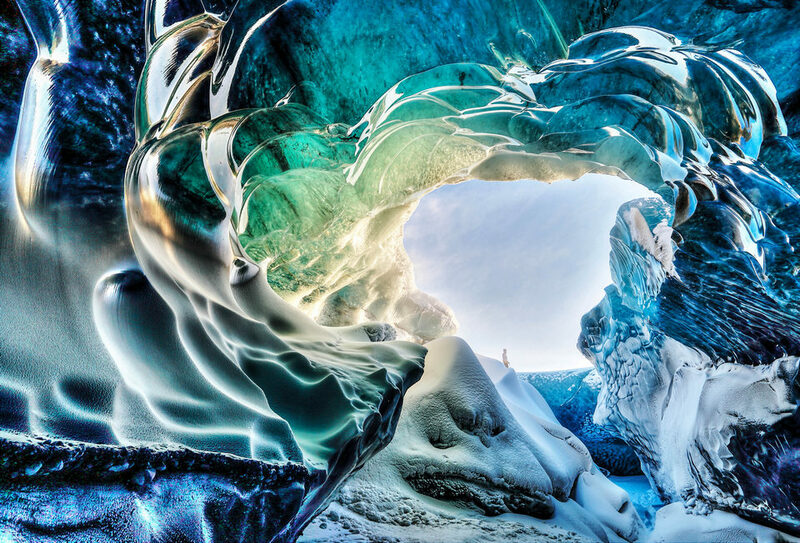 If you want to go to see the aurora, explore the ice caves, you should come in winter, from October to March. 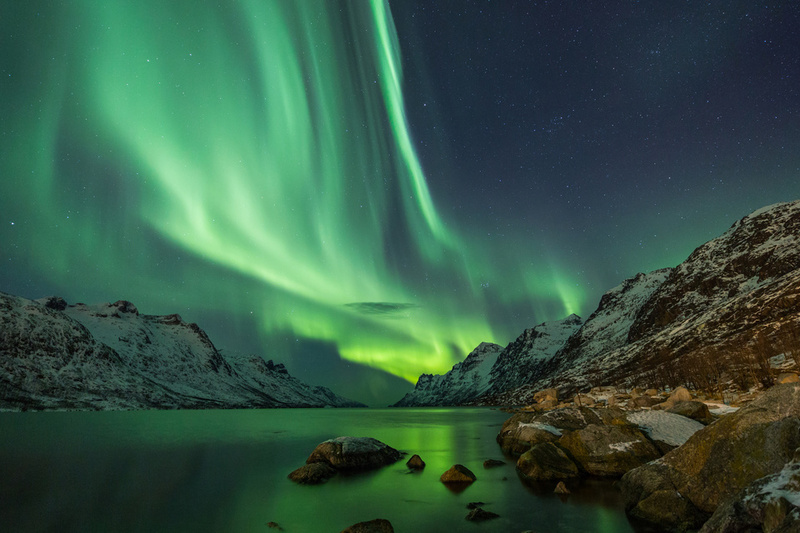 In particular, perhaps October is the best time to see aurora. 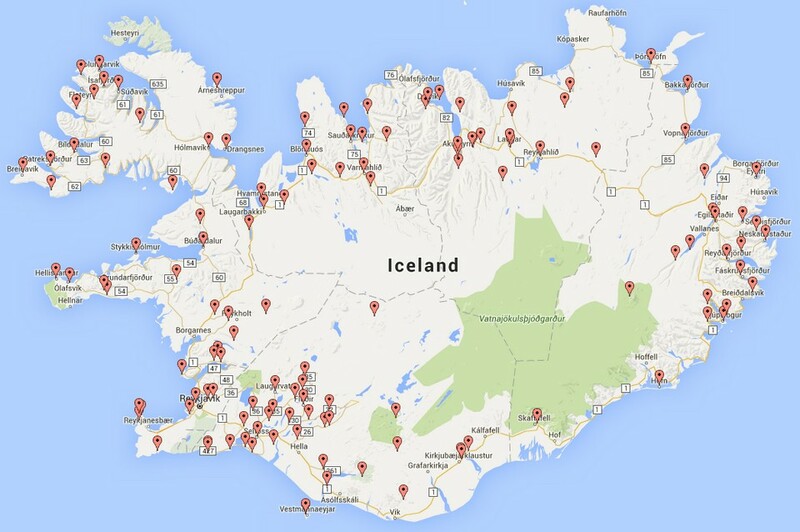 Iceland travel blog: How to get to Iceland? 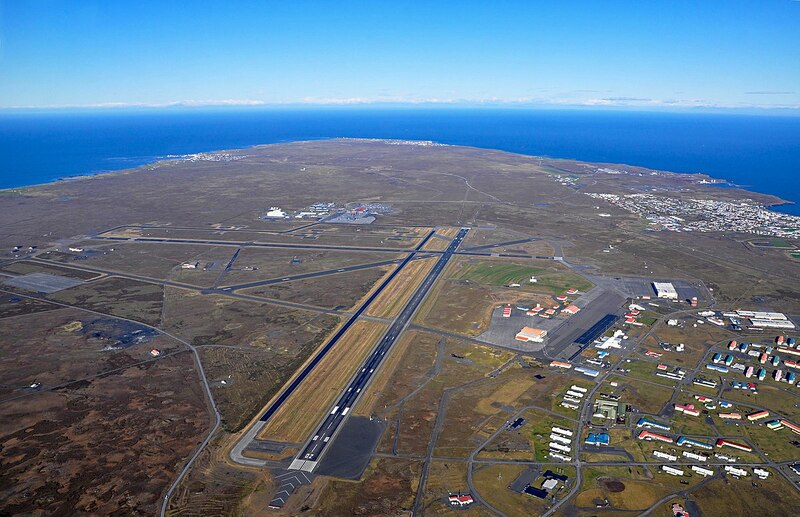 The best and most convenient way to get to Iceland is by plane. 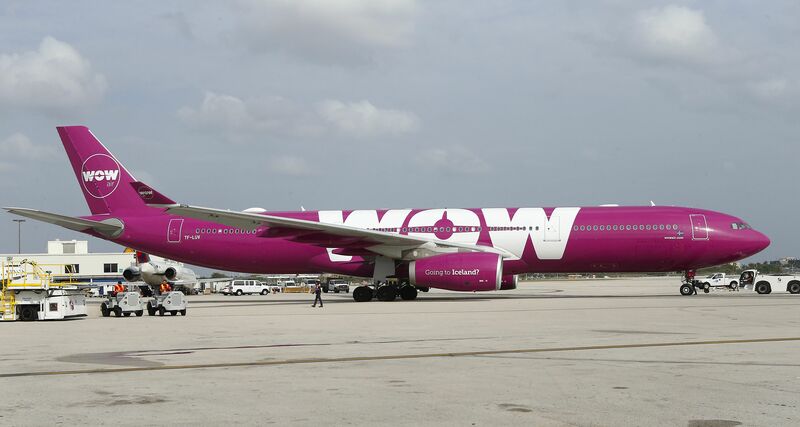 If you fly to Iceland from European countries or UK, you can refer to WOW Air or Icelandair airlines. Wow Air is a low cost airline of Iceland, so it will usually have more preferential airfares, however, hand luggage in the fare only includes a backpack / handbag (42x32x25cm) without the usual small suitcase as other airlines, so if you need to bring lots of luggage, you should buy additional hand luggage package (~ EUR 30 / one trip). 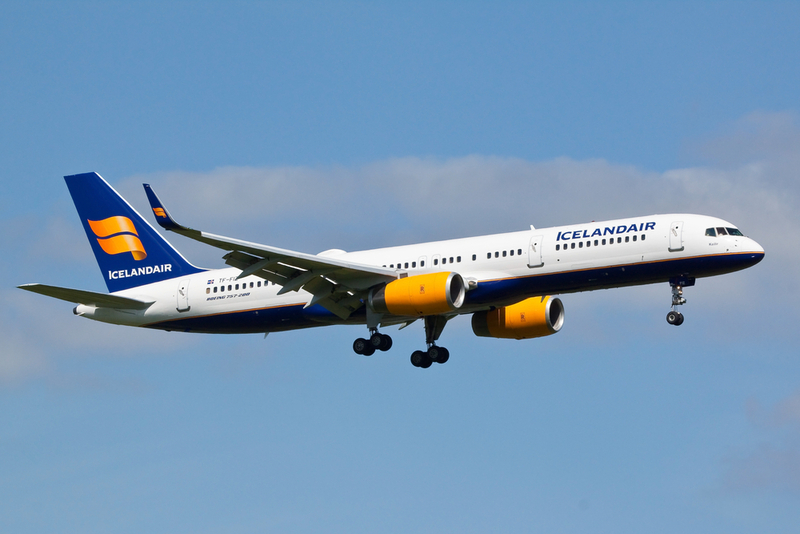 We fly from Toulouse to Reykjavik (transit in Munich). Flight tickets booked 6 months in advance: €320 / round trip. 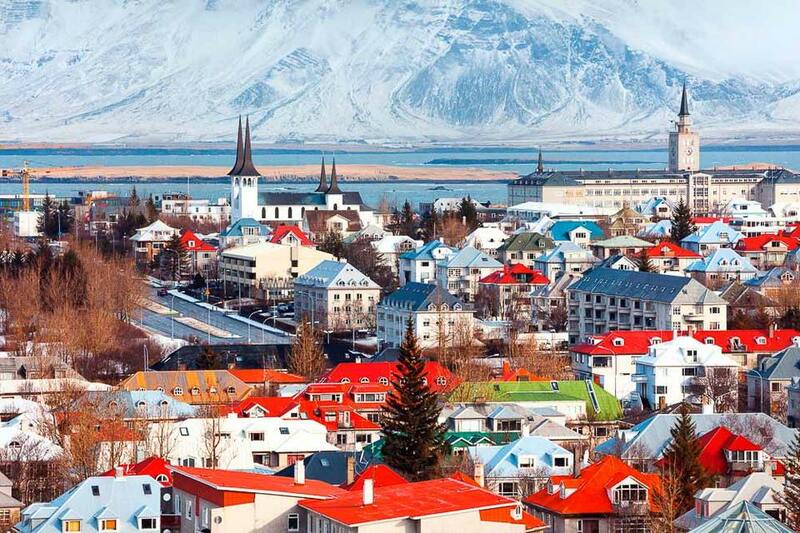 Tickets will be cheaper if you fly from major European cities with non-stop flights, served by low-cost airlines, such as WOW Air, Transavia … The airfares of Paris–Reykjavik route are sometimes just under €100 / round trip. 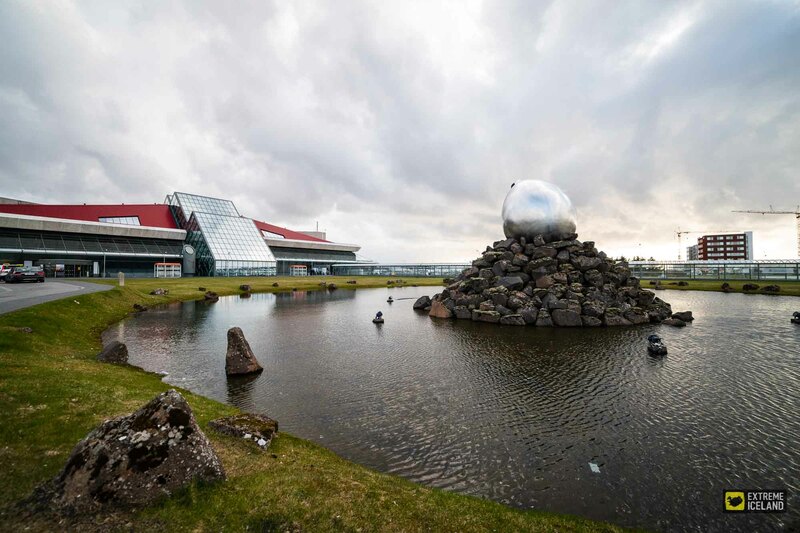 Tips: Iceland Air has «Stopover» tickets between Europe, Iceland and North America. 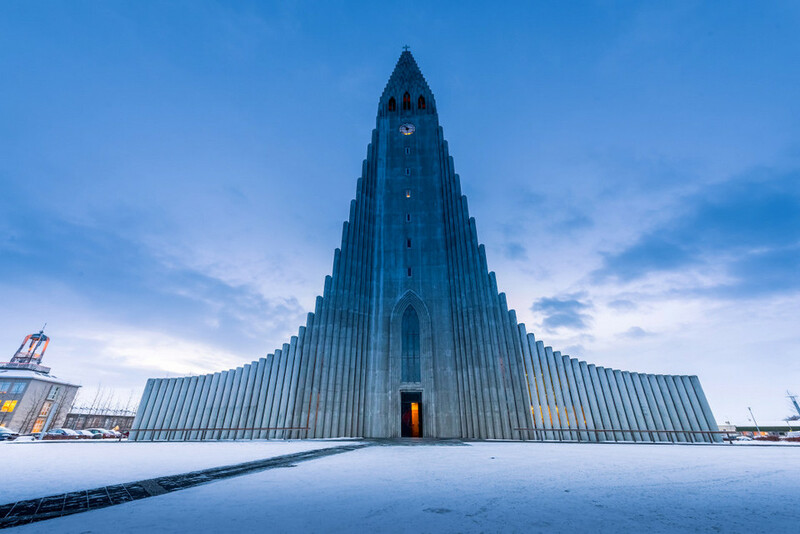 You can buy tickets from Europe to the US or Canada, and stop in Iceland for up to 7 days at very reasonable prices and suitable for your Iceland itinerary in 7 days. 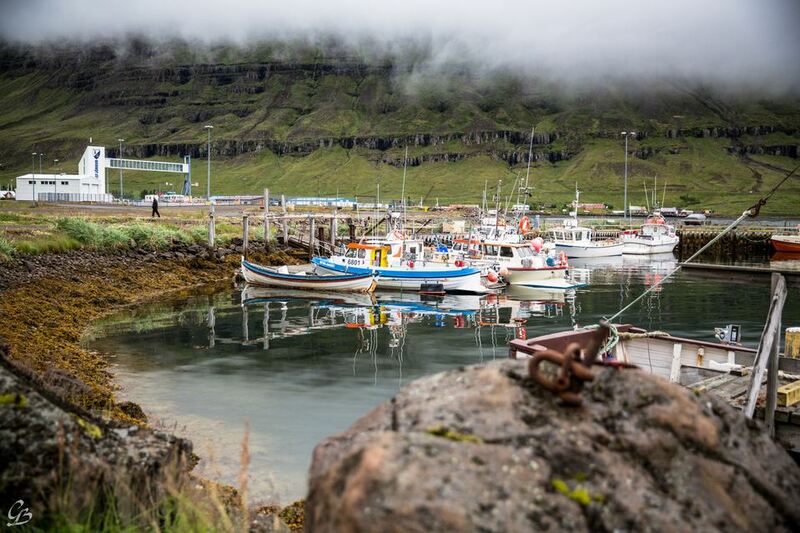 You can getting to Iceland by boat. Let’s drive to Hirtshals – Denmark. 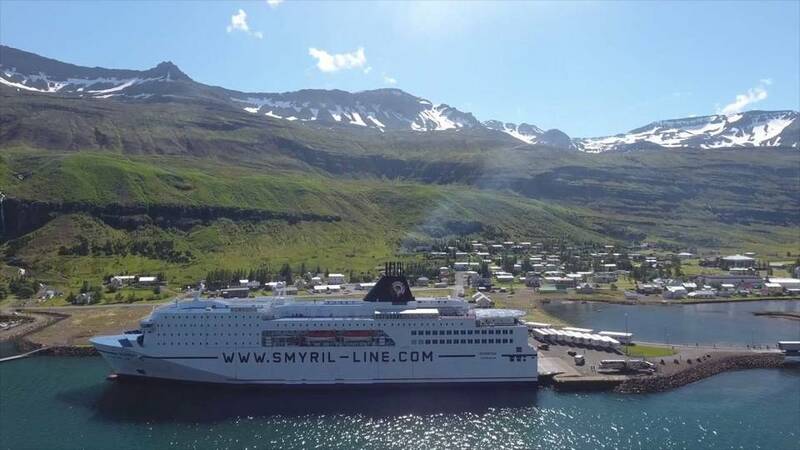 From then there is a ship to Seyðisfjörður, a lovely small city located in Northeast Iceland (transit in the Faroe Island – Denmark). 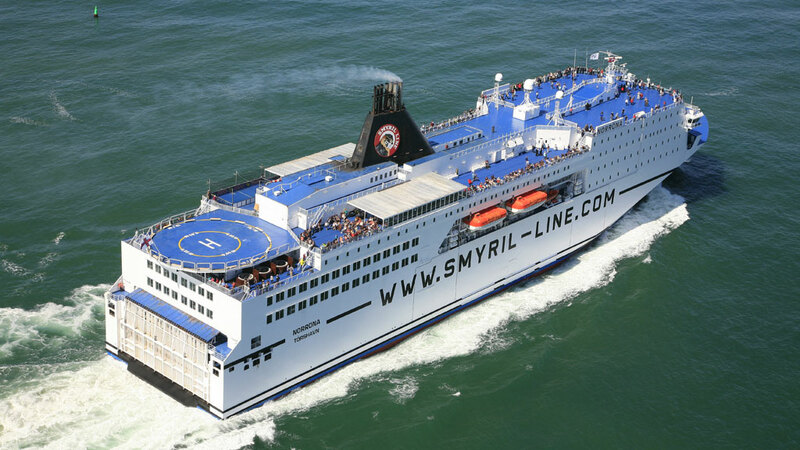 The tickets prices range from budget with € 300 / 1 person / round trip (bring no car and sleep in a room with 4 single beds), to expensive with € 1200 / 1 person / round trip (include a big car, sleep in a VIP double bedroom). 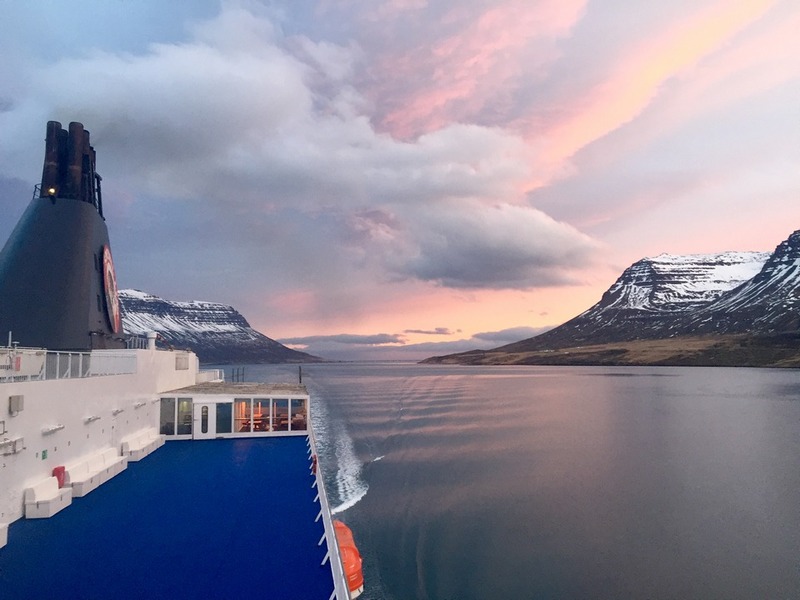 The journey in the sea is 50 to 60 hours long, sounds crazy but if you want to stay in Iceland for a long time and travel by private car, this is the most economical way. 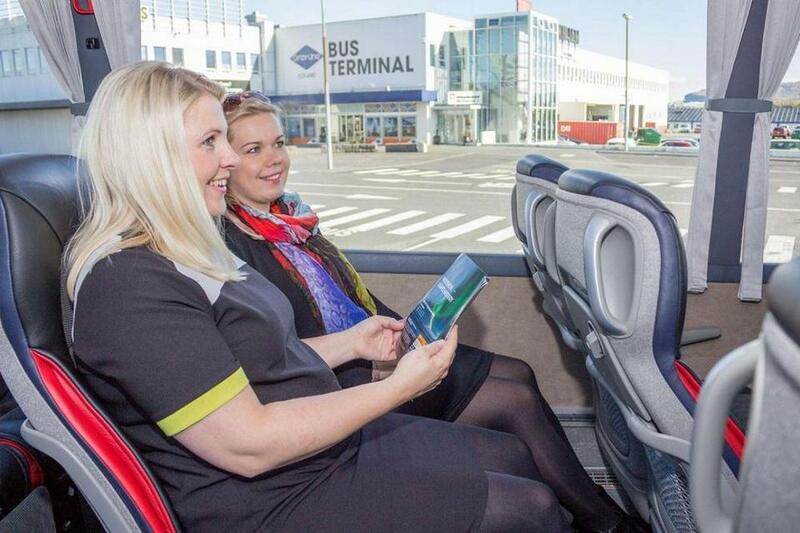 Flybus, Airport Shuttle Bus from KEF airport to Reykjavik. 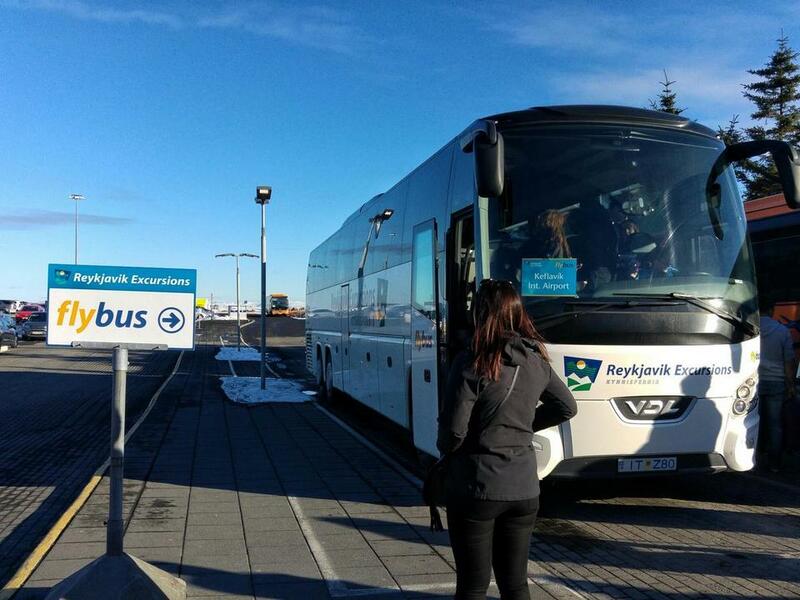 There are several bus firms running day and night from Keflavik International Airport (KEF) to central Reykjavik, about 45 minutes, 1 hour after each flight arrives. The bus will brings each group of visitors to hotels and campsites in the city. If you stay at Airbnb, Google to find the name of a hotel near your accommodation and request the bus take to that hotel door. Inside Flybus bus. 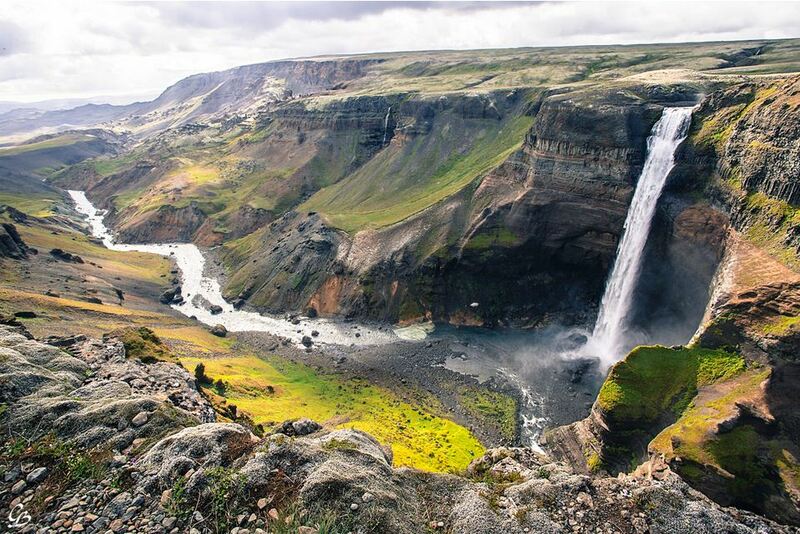 Image by: iceland on a budget blog. The bus tickets are different a little bit between firms, around 3000 ISK / one trip (~ €23), 6000 ISK / round trip. 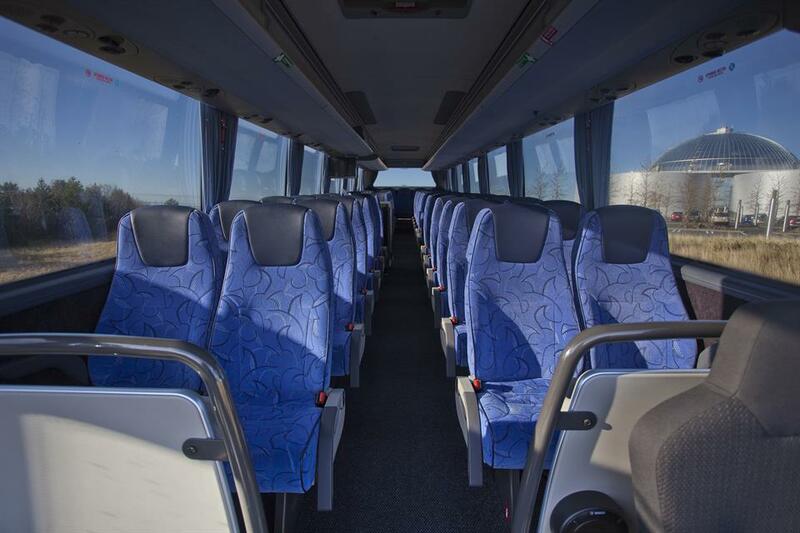 You can buy the bus tickets in advance on its website or at the counter at the airport with the same price. Note that if you buy on the web, you still have to go to the counter to appear before get up the bus because they need give your stop point name to the driver. If you buy tickets at the counter, you can pay the ticket in € with a reasonable exchange rate, convenient for those who come from Europe. 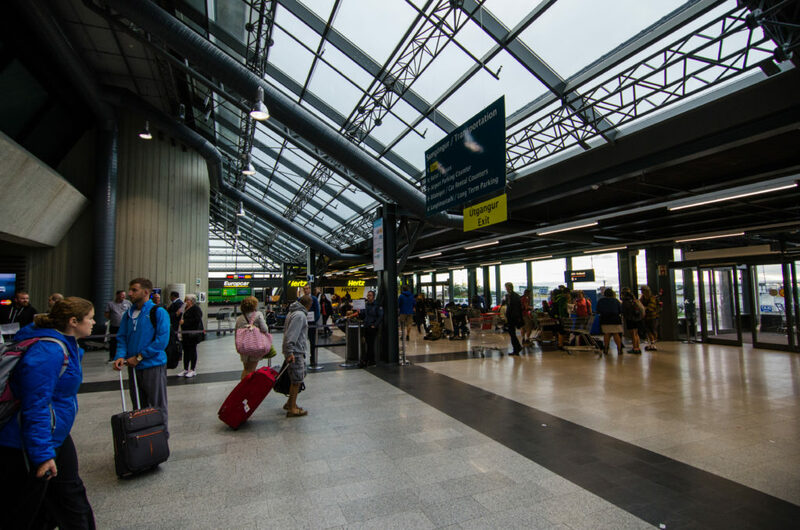 Like at other airports, you can also take a taxi but the price is not cheap, from €125 / 1 taxi or more. 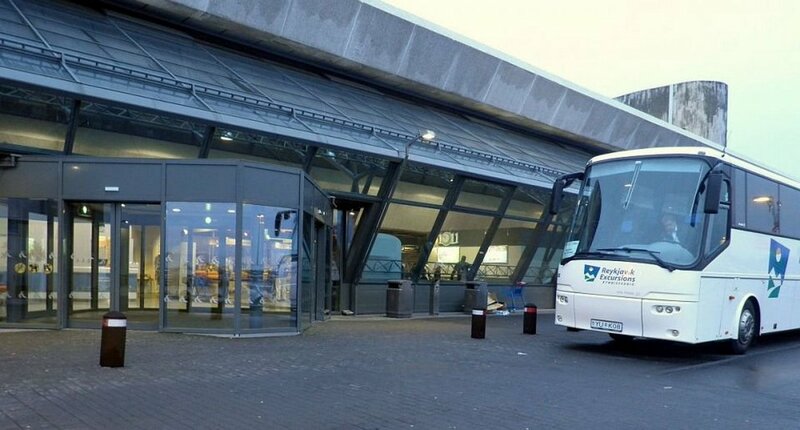 The public transport system in Iceland is extremely poor while the main attractions are far from the city, so you have to know that there are only 2 main vehicles that are self-driving car or tour. 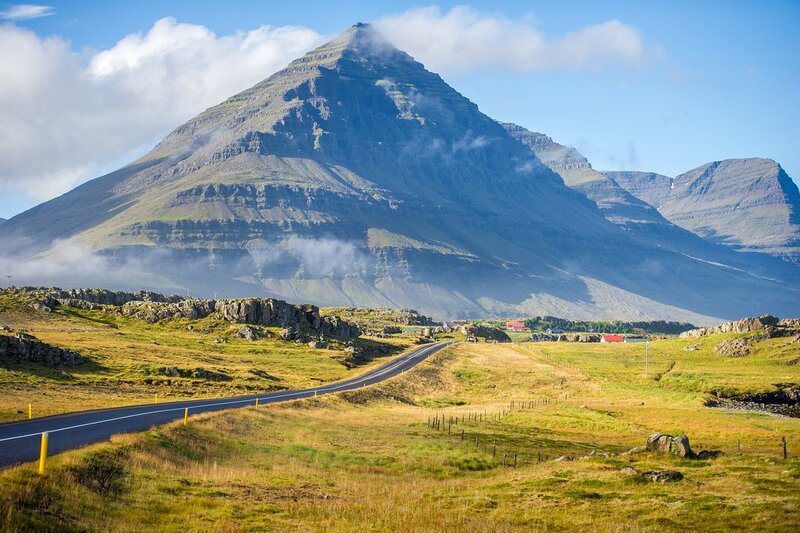 The roads in Iceland seem to be born for road trips. Highway No. 1, as its name Ring Road, runs around the island, more than 1330 km long, passing through most “big” cities and many popular tourist spots. Self-driving car will be more suitable for those who travel in a group of 3-5 people because you will be more proactive and cost-effective. 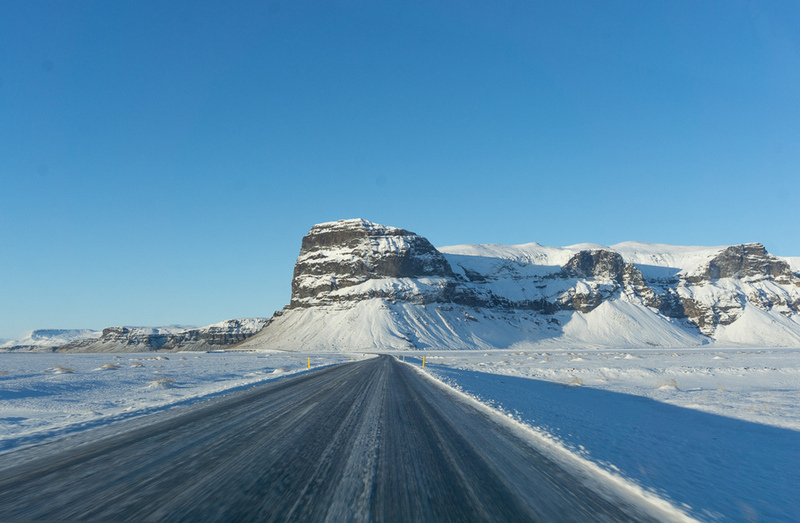 Cars are the means of transportation to help you be most proactive about your time in Iceland. You do not need to hire a 4×4 car if you are planning to visit only some spots along Ring Road. The rental price for a car 4×4 is about more 1.5 times or double the price of renting a normal tourist car. 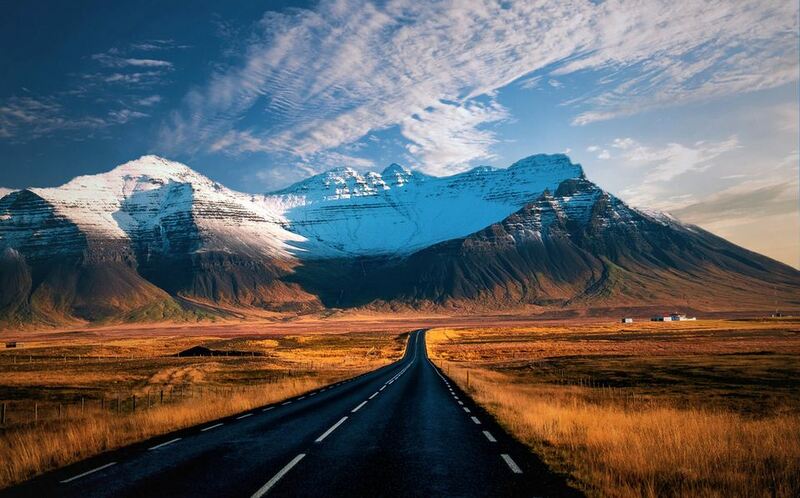 The Ring Road in Iceland. Be careful when crossing the river. 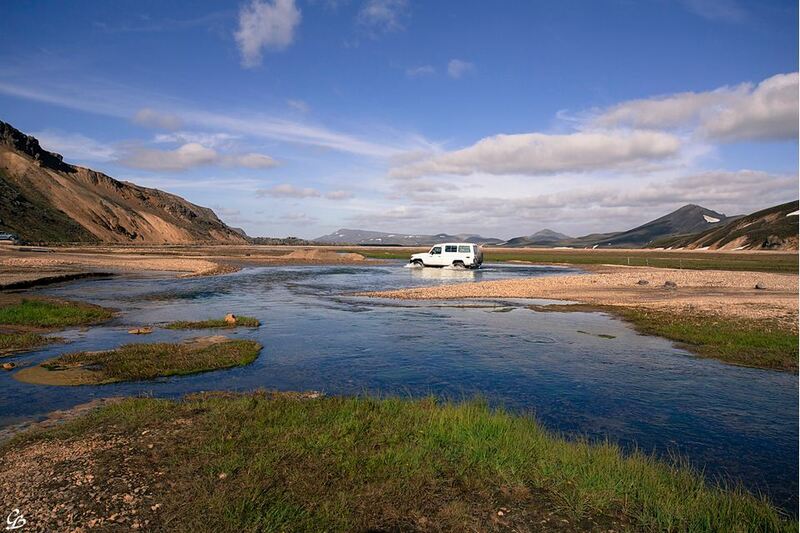 The road to the center of Iceland’s highland is quite difficult to travel, with many sections having to drive across the river. However, if your vehicle is stuck or damaged on the river, you must call the garage, the cost will not be covered by insurance. This amount can be up to nearly the value of the vehicle, depending on the location and the degree of failure. Keep the door in the wind. 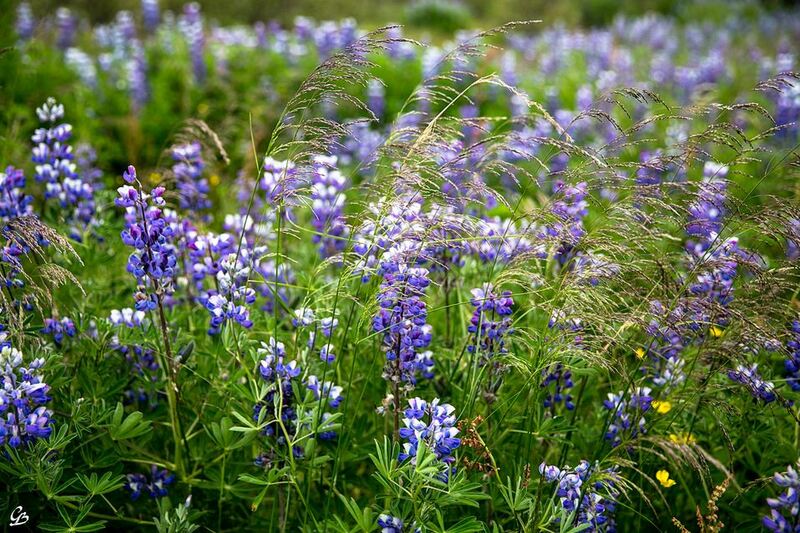 Rain and wind are two of Iceland’s free specialties that anyone who has experienced when came Iceland. Indeed, the coastal wind is very strong, can blow the door. And of course, insurance does not cover this. Drive the car into Landmannalaugar. 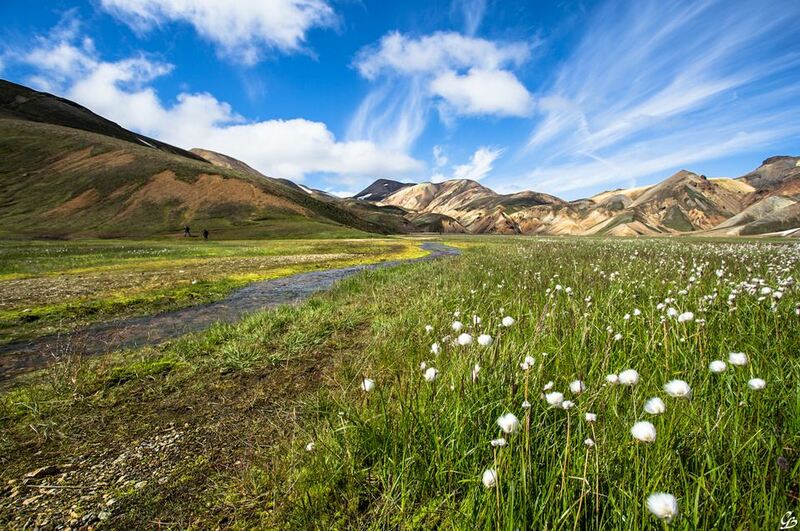 The Landmannalaugar is a “must–go” place for anyone who likes to trekking with the famous Landmannalaugar – Thorsmork route for 4 days. 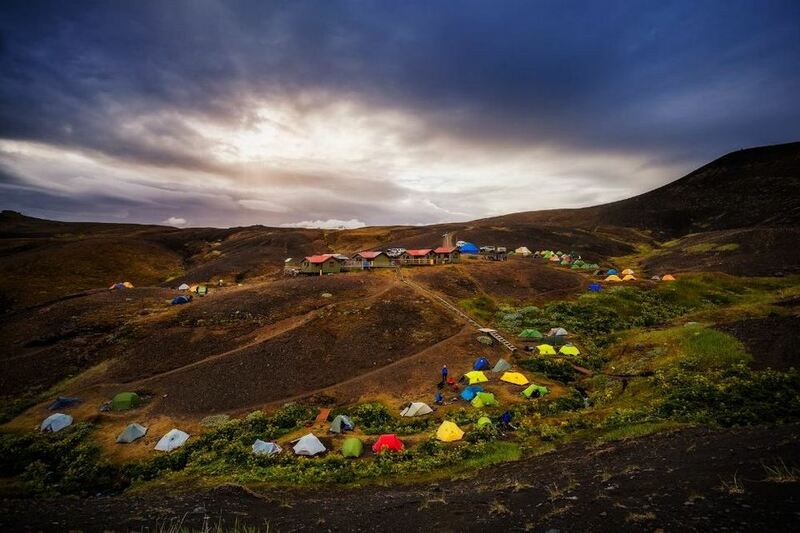 However, if you don’t have healthy enough or time, you can also go a few short (10–20 km) around camping Landmannalaugar – one of Iceland’s most beautiful and cold, uncomfortable campsites. 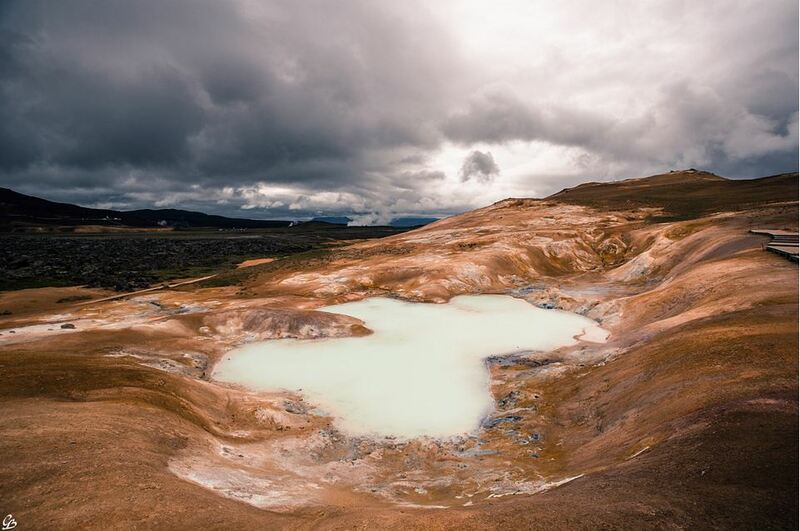 There are 3 access roads to Landmannalaugar: 2 from the west – F208 from Gjains and F225, and 1 from the east – F208 from Vik. The car owner advised us to go F208 from Gjains (reach from the west) because there is no need to cross the river, while the F225 road must cross the river 3 times and 6 times with the road F208. 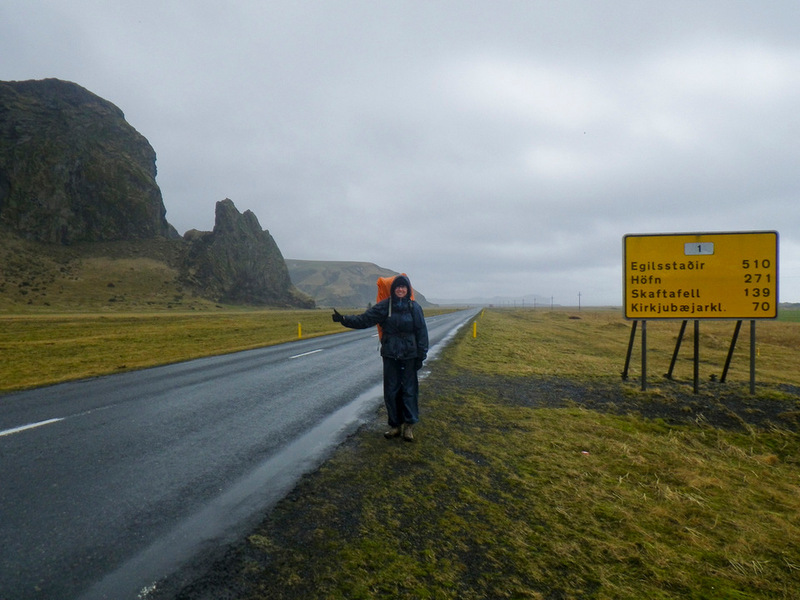 When you go out of Landmannalaugar, you also should follow the same road. Reykjavik Hop On Hop Off Bus. 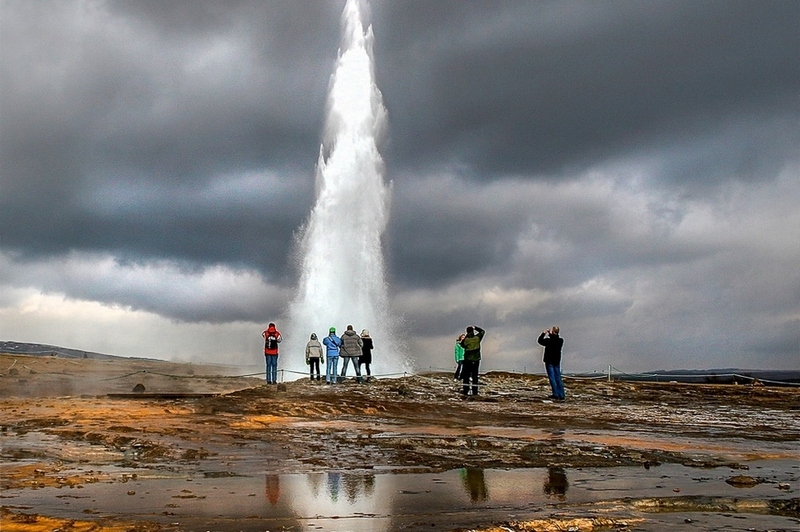 Credit: iceland travel blog. 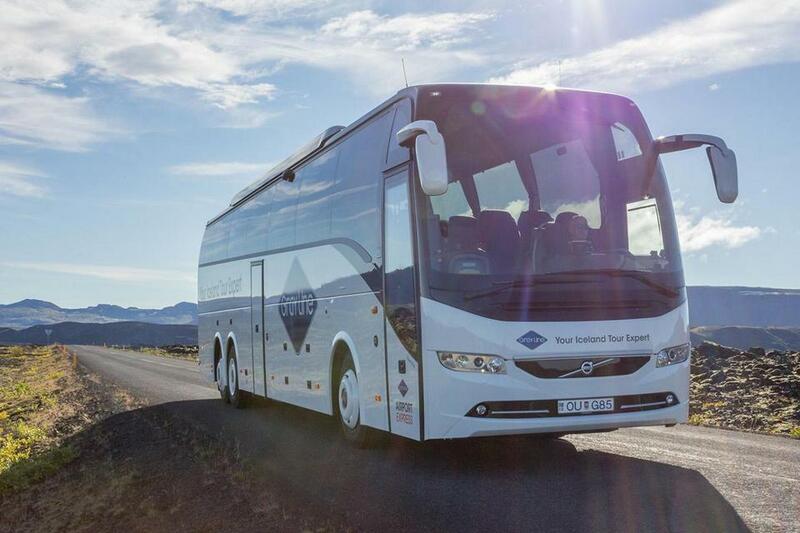 This is also a good way to explore Iceland. From June to September every year, bus routes take visitors between cities, stopping for about 30 minutes each time passing through famous tourist spots. Of course, you can also combine tourist car hire (not 4×4 type) and buy a bus ticket when you need to go to highland. You can also explore Iceland by bike. 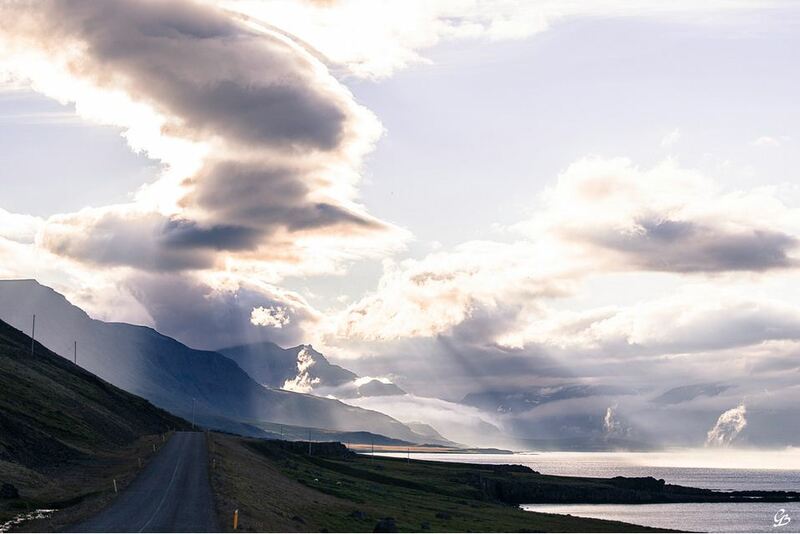 The mountainous terrain and rainy weather make Iceland an ideal place to challenge yourself. 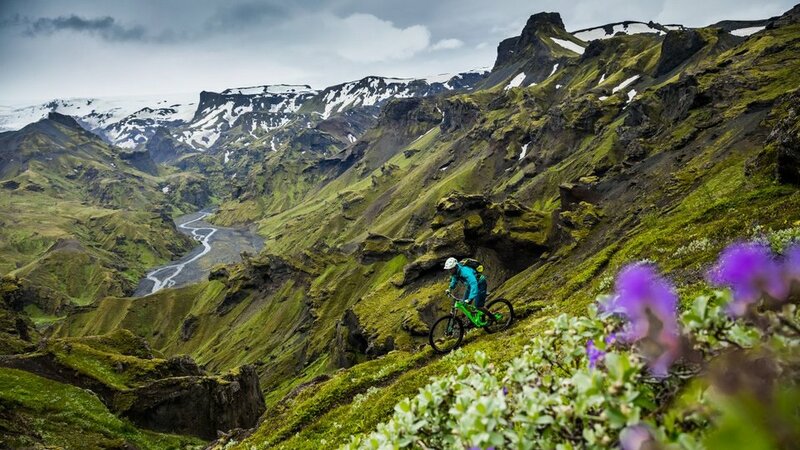 Biking trail in Iceland, a worth thing to try. 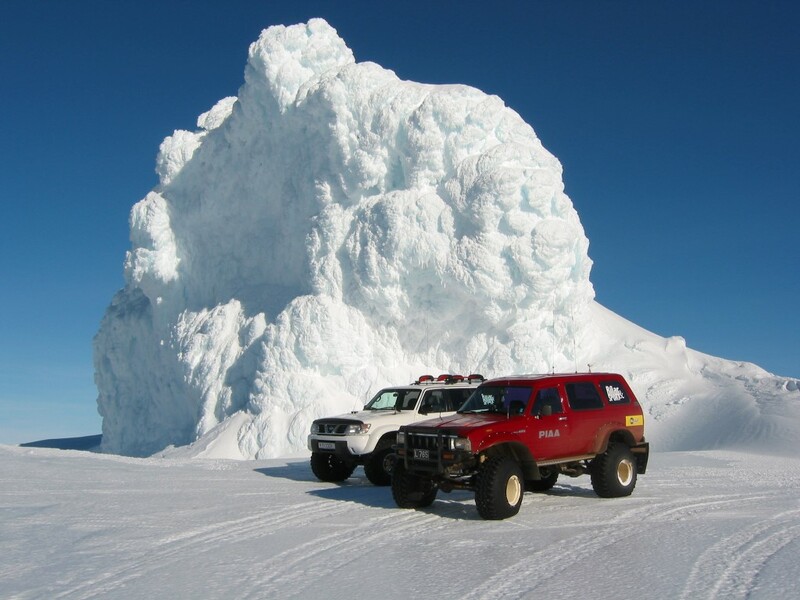 A glacier tour – by jeep or snowmobile. 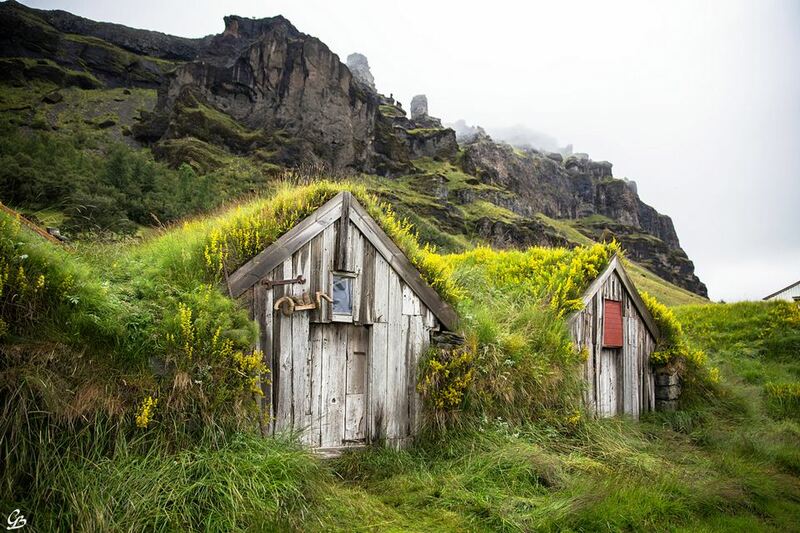 Credit: iceland travel blog. 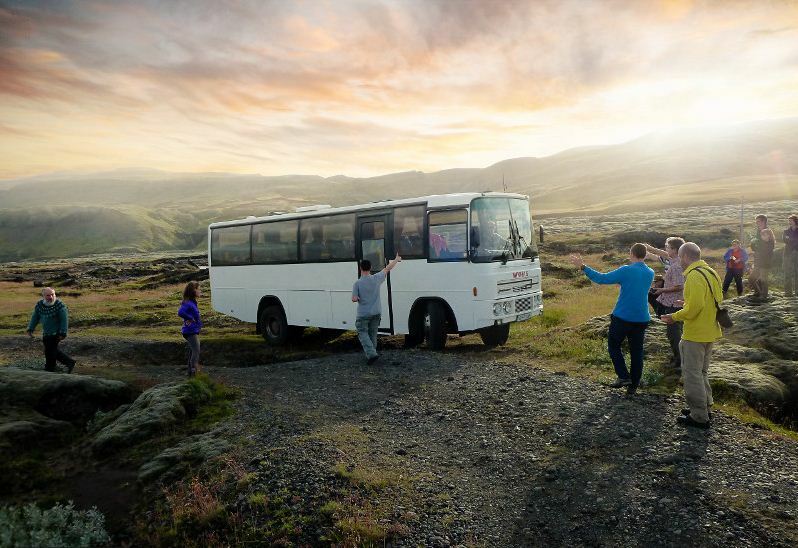 If you have little time or don’t know how to drive and go in winter without bus, Iceland is still at your fingertips with countless tours for half a day or one to two days for about €100 / 1 day from big cities. 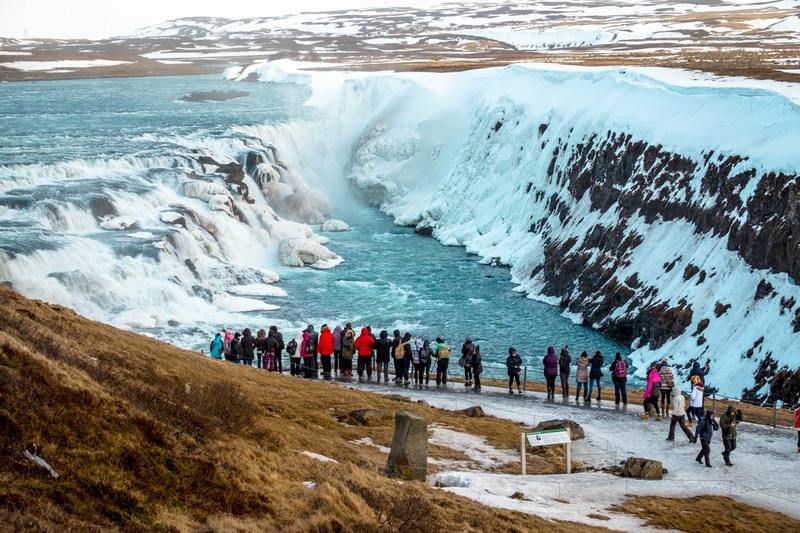 Iceland’s tours are very good and many companies have this service so you don’t need to book in advance, just go to the visitor information counter to know all the information. 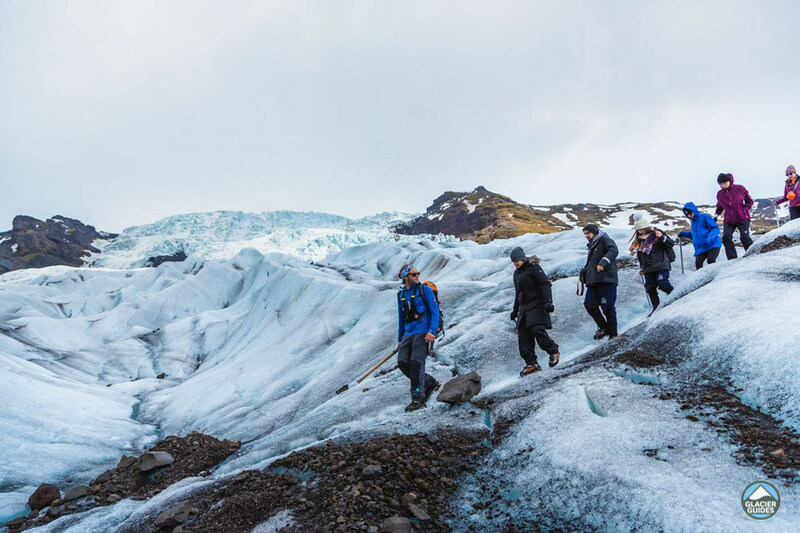 We also try a glacier walk tour of Glacier Guides in Skaftafell (Website: https://www.glacierguides.is/). They are very young, friendly and enthusiastic. 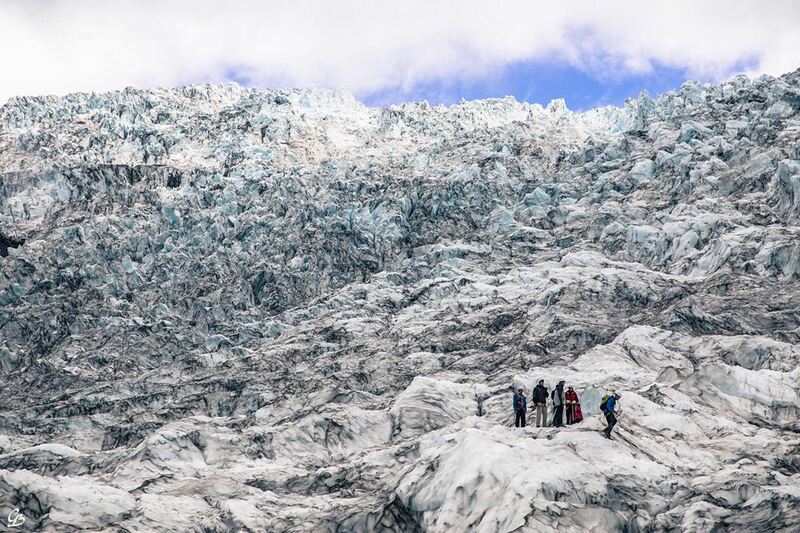 Glacier Hiking Tour from Skaftafell. 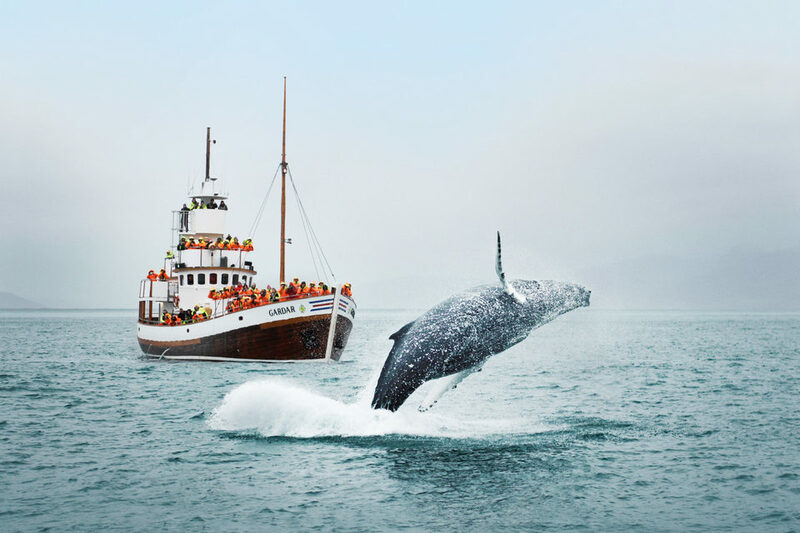 Credit: iceland travel blog. 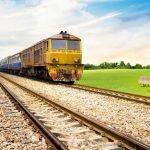 You can look up tours on travel review sites. 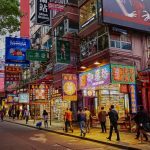 We usually book tour at Getyourguide.com because the tours booked here are usually the best prices, and can be canceled free within 24 hours and guarantee credibility. 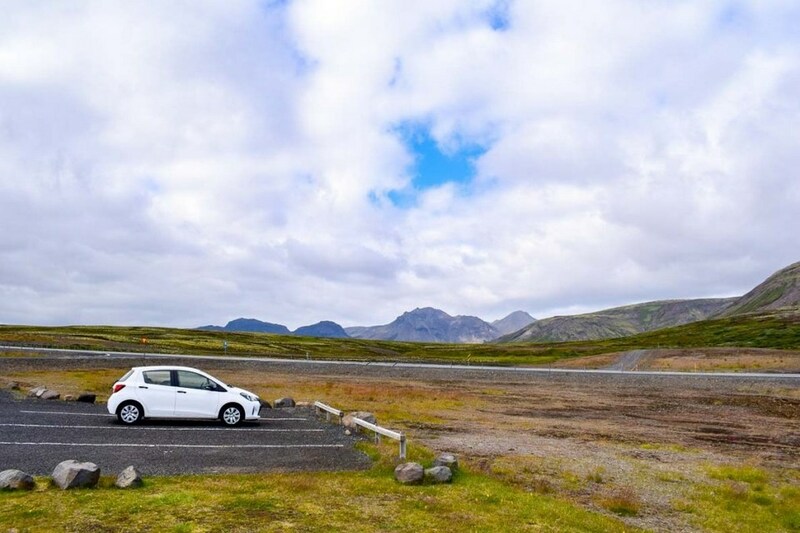 If you have a lot of time and love to adventure, you can also go around Iceland by catching a car on the road for free. 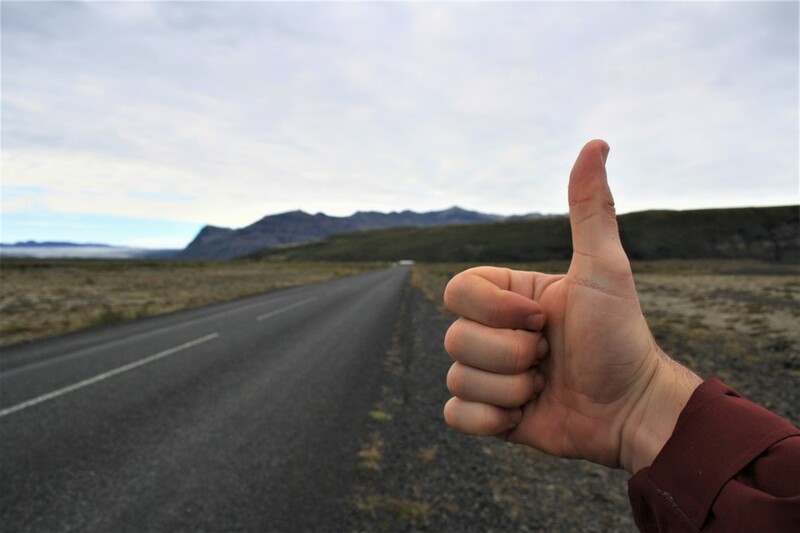 However, the hitchhike also comes with many disadvantages and risks because in addition to a section of Ring Road in the south and a few popular tourist spots around Myvatn Lake in the north, the remain regions of Iceland are deserted. Hitchhiking can take time. 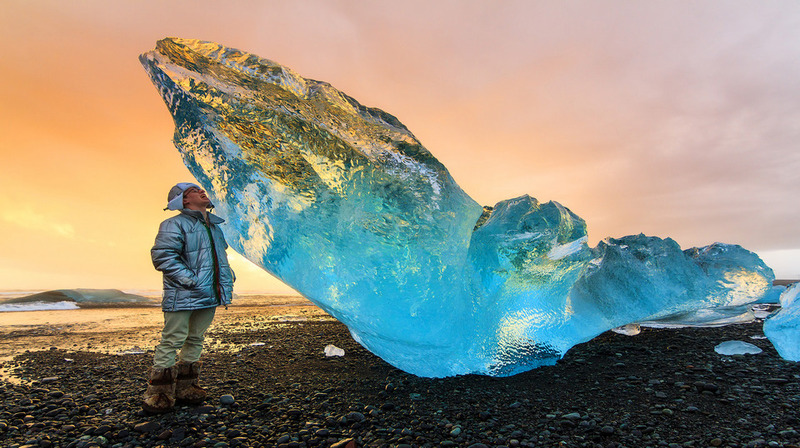 Credit: iceland travel blog. Tips: Map or GPS. 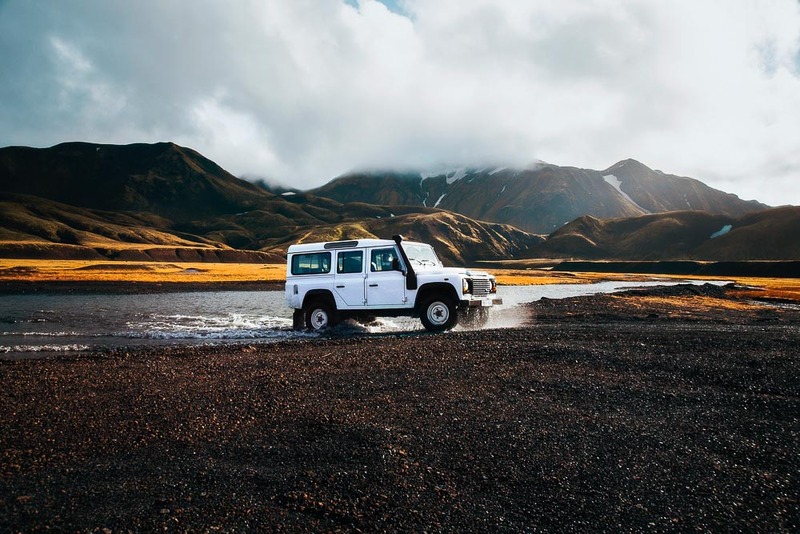 We hardly use GPS in Iceland because the several times we tried to enter the location name, but the GPS that attach with the car was not found them. Luckily, we didn’t get lost for 14 days on the way. Most of the time we only use Google maps and paper maps of National Geographic, very detailed, with the number of kilometers between each turn, all famous tourist spots, camping areas, … Tough and impermeable paper. 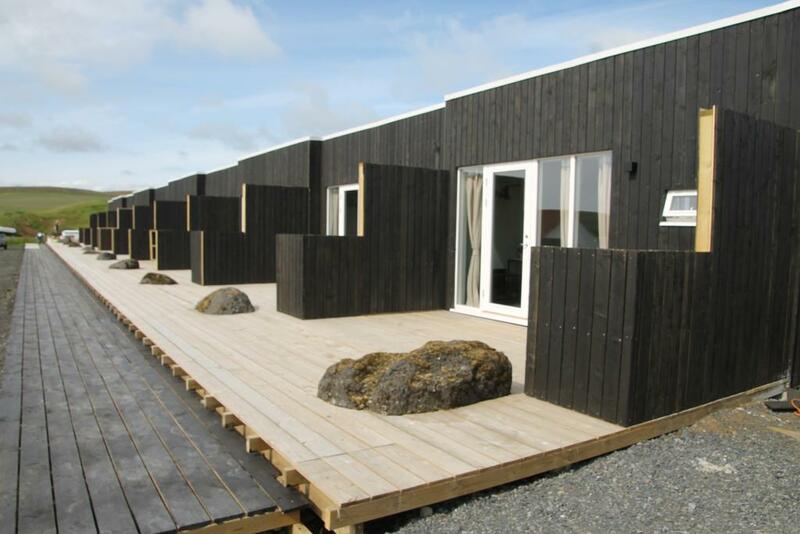 Iceland trip blog: Where to stay in Iceland? 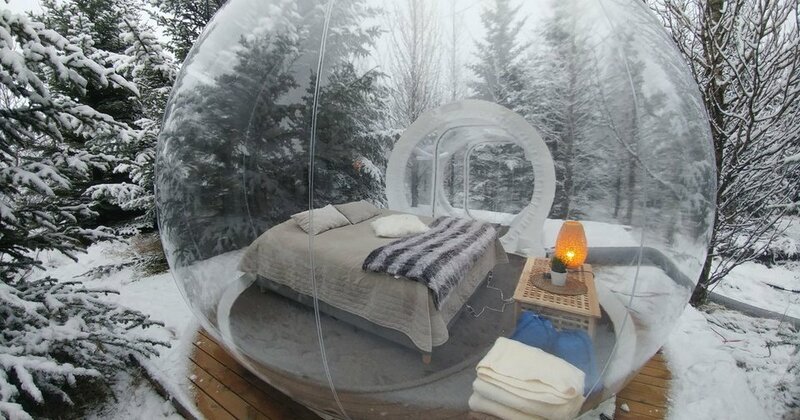 Panorama Glass Lodge. 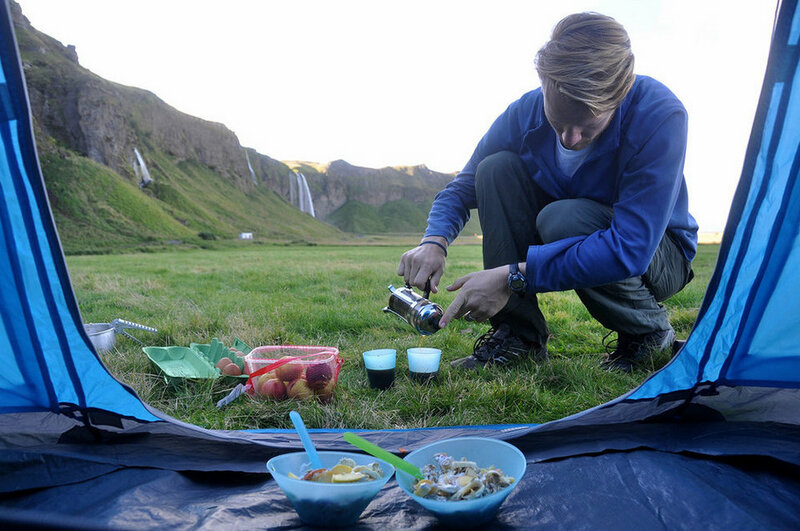 Image by: iceland on a budget blog. The 5 Million Star Hotel will give you the best views of the aurora. Price is about € 10 (ISK 130-140) / 1 person / 1 night. 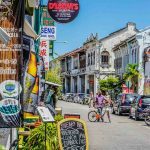 Advantages: Low cost, very mobile because there is no need to book in advance, you can chat with a lot of backpackers from everywhere, get a lot of good experience. 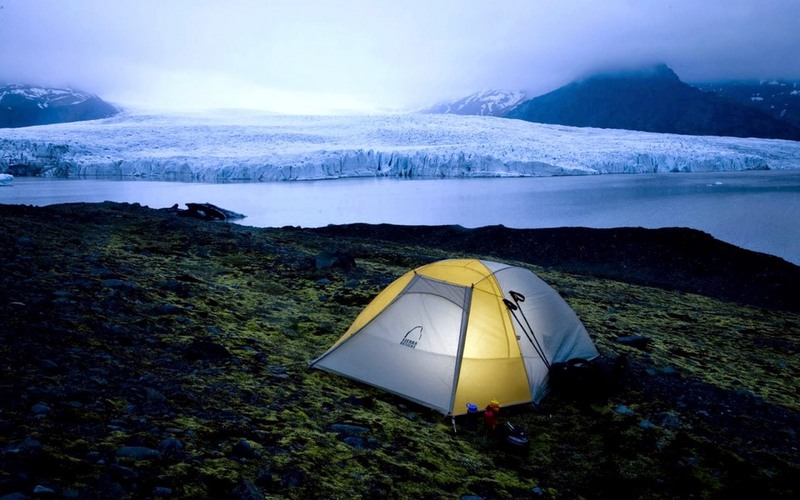 Iceland has many camping zones, only 30 to 50 km apart. Disadvantages: Must carry a lot of bulky camping gear. Hard, wet, cold when the weather is not favorable. 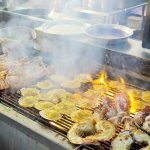 Not all camping areas has a kitchen or a kitchen that is not large enough, so sometimes you have to cook outside in the cold wind. 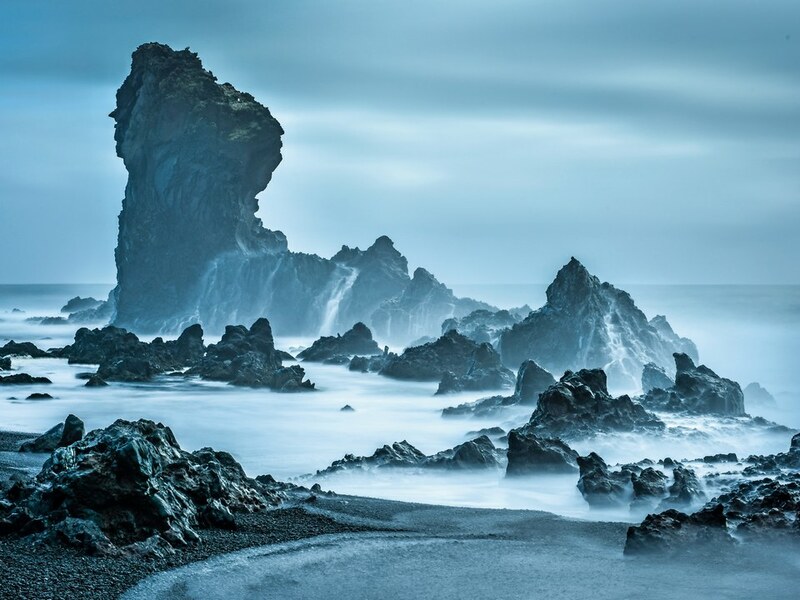 Image by: iceland on a budget blog. 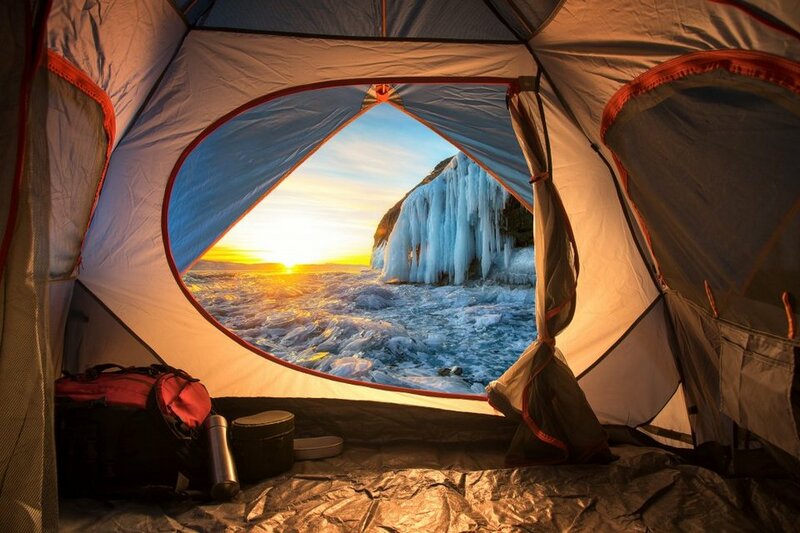 Tips: Many camping sites only have cold water (very cold). Most places with hot water must pay around ISK 100 / 1 minute of bathing. Queuing for the turn is also quite long. However, you can take a bath in the pool, hot water is comfortable. Every city has a hot mineral water pool, closed at about 21pm. About €30 / 1 bed. 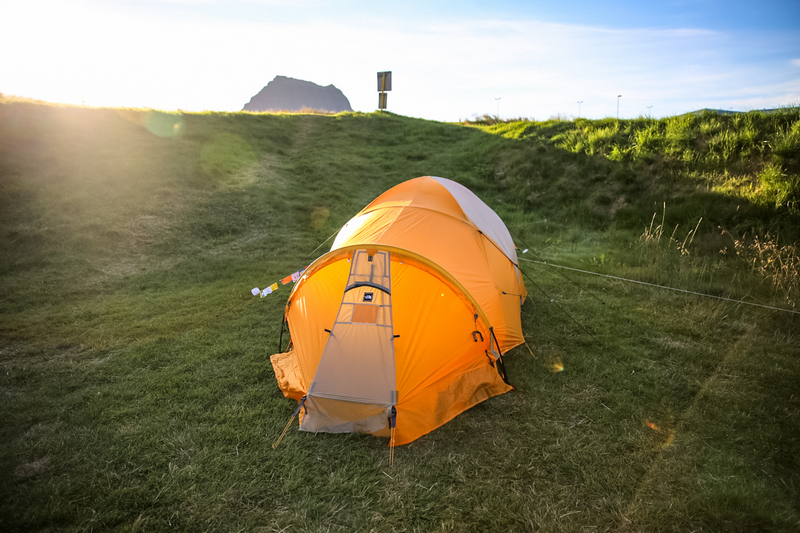 Most cities in Iceland are small, without a hostel, but camping sites also offers similar services. Advantages: Cheap price. Not sleeping in the cold rain like sleeping tent. 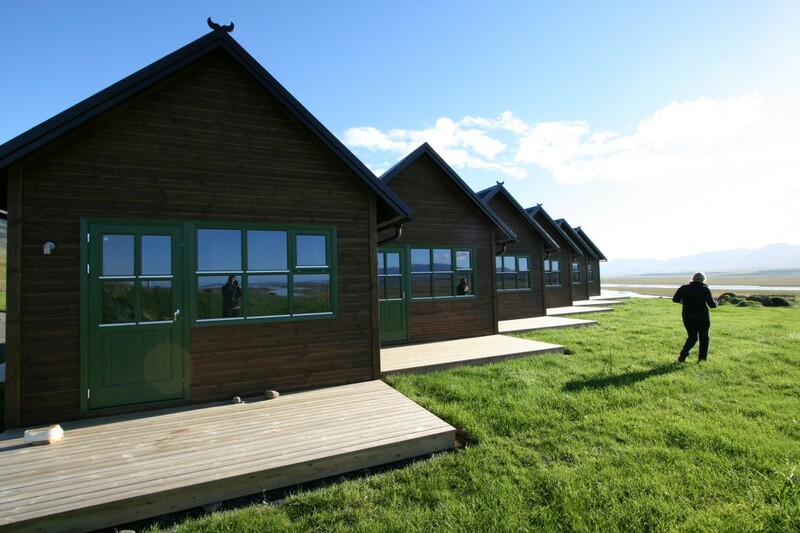 Disadvantages: Also are camping visitors, so the facilities for hot water, kitchen … are similar to those in tents. You have to reserve for a long time (maybe many months). 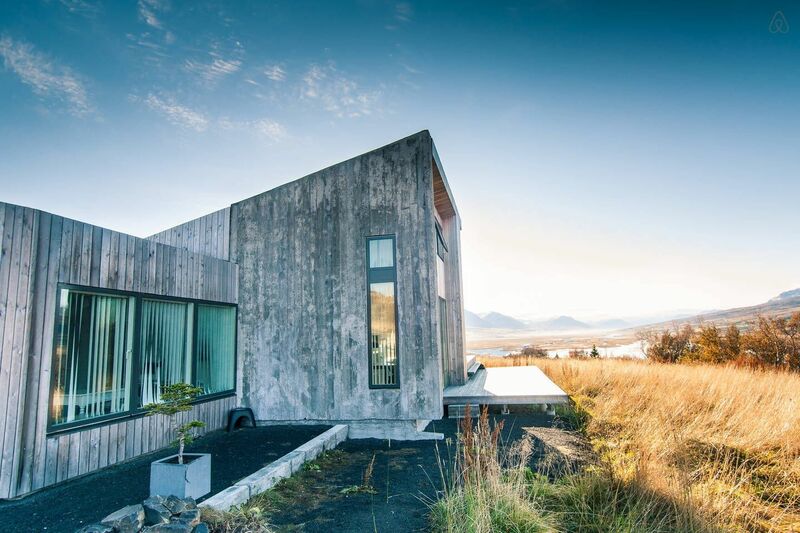 Villa Lola, Akureyri (See reviews on Agoda.com or Booking.com). 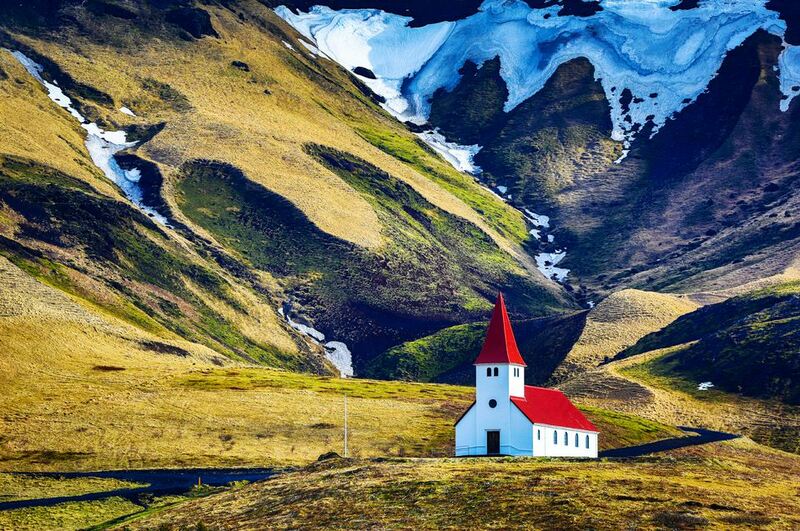 Credit: iceland travel blog. 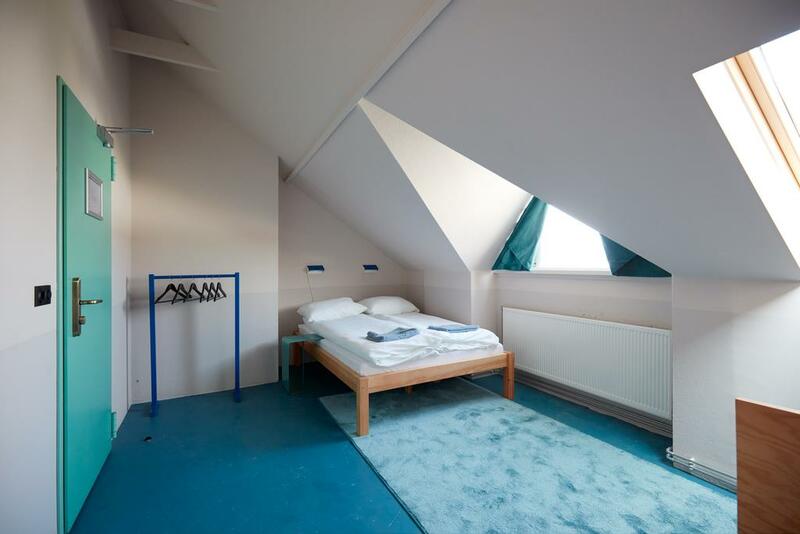 About 70 – €100 / 1 room for 2 people. Advantages: Can bathe, wash clothes, cook comfortably in the house, sleep in a warm and soft bed. 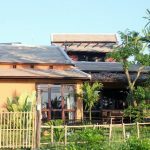 Disadvantages: There are very few guesthouse and Airbnb is located outside the big cities. Most have to book in advance, need to schedule carefully.